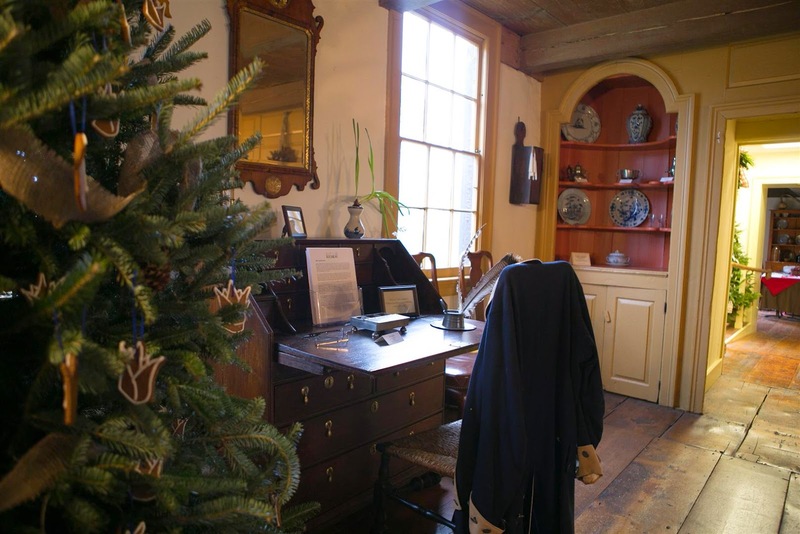 12th Annual Colonial Christmas at the Jacobus Vanderveer House Offers Two Weekends of Holiday Festivities ~ The History Girl! Holiday shoppers, history buffs and visitors of all ages can celebrate Christmas past and present, when Bedminster’s historic Jacobus Vanderveer House & Museum opens its wreath-clad Dutch doors for the 12th annual Colonial Christmas show house and tour Saturday and Sunday, November 29-30 and Thursday through Sunday, December 4-7. Hours are from 10:00 am - 4:00 pm daily (see schedule below). “This year, there will be more merchants than ever before, offering unique and creative items for everyone on your holiday gift list both Saturdays and Sundays,” commented Sean Blinn, president of the Friends of the Jacobus Vanderveer House Board of Trustees. More than 20 vendors and artisans, carefully selected for the event, will offer personalized made-to-order silhouettes and calligraphy note-cards; candy confections; floral decorations; wood-carved birds, fish, and decoys; distinctive wraps, belts, and accessories; handmade candles and lotions; Revolutionary War novelties; one-of-a-kind pocketbooks; eye-catching leather-cut jewelry; silk and angora scarves; organic body butters, teas and jellies; Italian olive oils, balsamic vinegars, truffles and linens; vintage silverware jewelry; and semi-precious stone and freshwater pearl creations. Local merchants, including Apogee, of Basking Ridge, will offer a collection of distinctive women’s apparel and fashion jewelry, while Classic Home and Garden, of Far Hills, will feature an array of home and holiday accessories. Tours of the circa 1772 home, which was owned by Jacobus Vanderveer and served as headquarters of General Henry Knox, Chief of the Continental Army Artillery, while he commanded an artillery and training encampment in nearby Pluckemin during the winter of 1778-79. Colonial-inspired holiday decorations by The Rose and Radish Floral Design, of Whitehouse Station, including Christmas trees decorated with hand-cut silhouettes, beeswax ornaments, patriotic drums and eagles, crocheted snowflakes and gingerbread cookies; vintage stocking brimming with goodies; and mantels resplendent with fruits, vegetables, and evergreen. Santa visits 1:00 - 3:00 pm Saturdays and Sundays. A rare, authentic Revolutionary War drum, from a private New Jersey collector, on loan to the Jacobus Vanderveer House and Museum during Colonial Christmas. The debut of Christmas 1778, a newly commissioned work of art by Bernardsville artist Thomas Calvin Houtz, depicting Gen. Henry Knox and his family in front of the Vanderveer House prior to departing for the Pluckemin Cantonment. Colonial Christmas, sponsored by the law firm of Bevan, Mosca, Giuditta & Zarillo, P.C., kicks off with a bang Saturday, November 29, when members of John Lambs Artillery stage a Revolutionary War-era encampment complete with cannon firing, musket drilling, open fire cooking and colonial crafts. A 1778 Colonial Christmas cocktail party is planned for Friday, December 5. The evening begins at 6:30 pm with guests arriving amidst the backdrop of drumbeats performed by a re-enactor portraying Revolutionary War drummer boy John George. The entrance will be illuminated by an array of Colonial-era lanterns; and as guests enter the front door, they will be greeted by the sights and sounds of Christmas as it was celebrated by the Vanderveers and Knox’s more than 200 years ago. The party will feature specialty cocktails, sumptuous hors d’oeuvres with a Colonial flair prepared by Elegant Taste, musical entertainment by harpist Odarka Stockert, a chance to win a luxury shopping spree at the Short Hills Mall, and boutique shopping among a variety of vendors. Tickets for the 1778 Colonial Christmas cocktail party are $150 per person and $100 for Junior Patrons (25 years and under) and includes admission to the Colonial Christmas Open House. Reservations are required. Call 908-396-6053 or visit www.jvanderveerhouse.org. Admission at the door is $10 (children 12 and under, free). 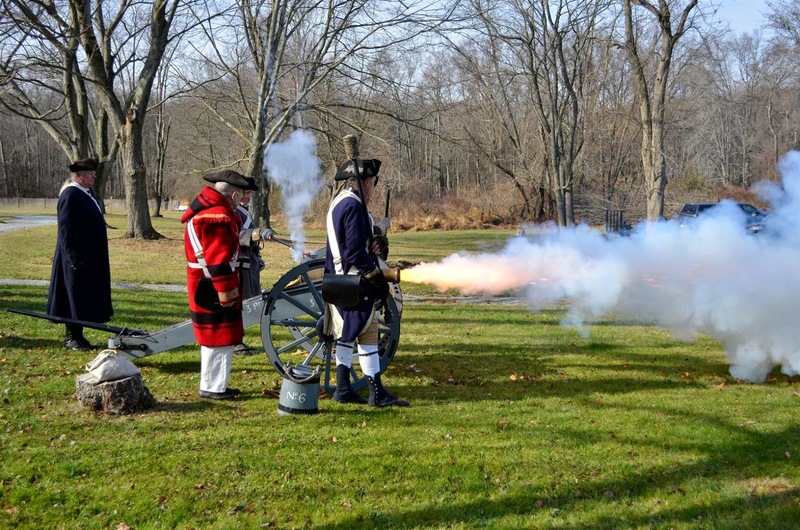 For tickets and information about Colonial Christmas and Friday’s gala, call 908-396-6053 or visit www.jvanderveerhouse.org. 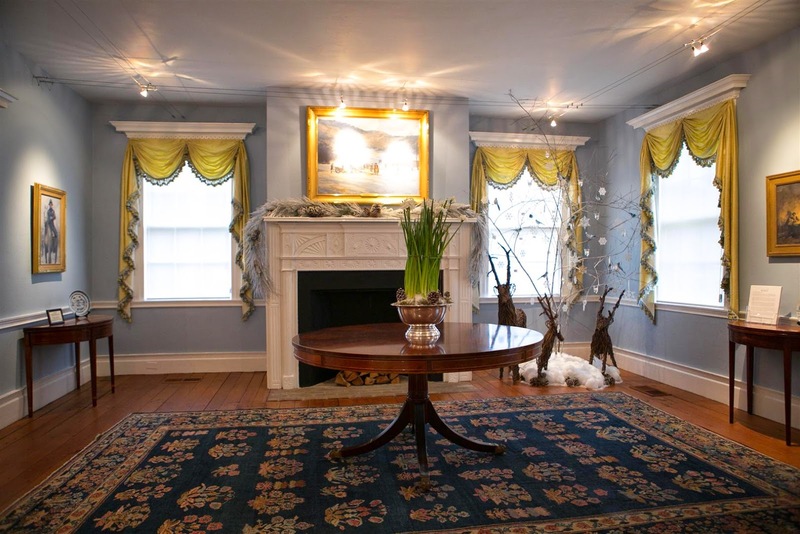 Proceeds from Colonial Christmas benefit exhibit development, historical interpretations, and educational programs at the Jacobus Vanderveer House. Special group rates available for parties of 5 or more - $8 per person. School groups free. Reservations required. Call Hillary Murtha 908-396-6053 or email hmurtha@jvanderveerhouse.org.